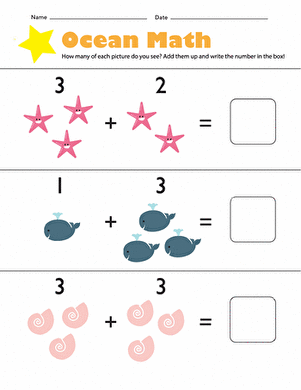 On this worksheet, kids trace the number 4 several times, then write their own. 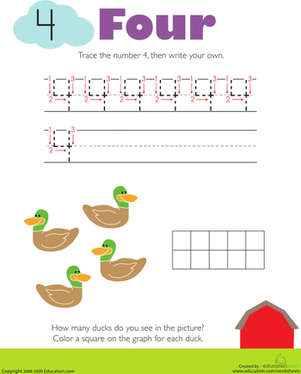 After tracing and writing the number, they count the number of ducks they see in the picture (four), and record the information in a graph. 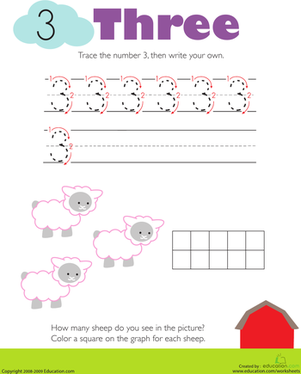 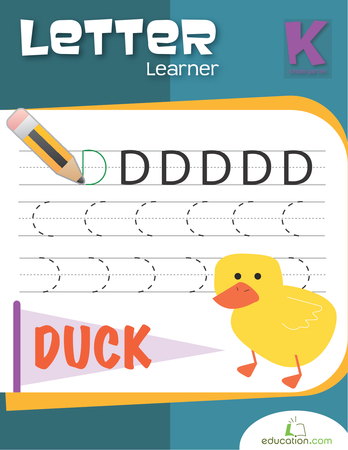 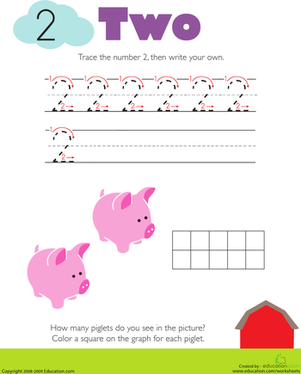 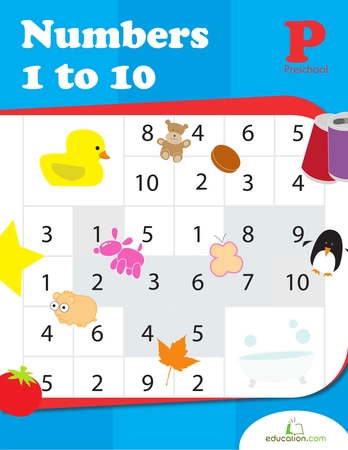 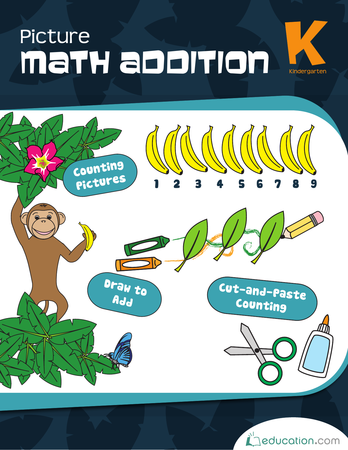 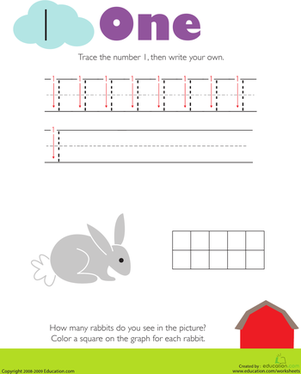 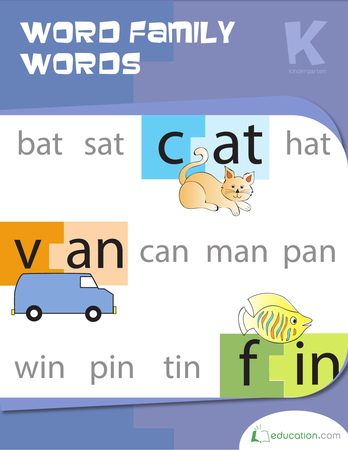 This worksheet offers practice writing whole numbers, counting objects, and making a graph.